Prinx Chengshan has broken ground for a new factory which is located at the Eastern Seaboard Industrial Zone WHA EISE 3 in Chonburi, Thailand. The new plant is expected to become operational by mid-2020, will help the leading tire manufacturer to improve brand awareness, consolidate and expand its global production capacity, and make it more competitive on a global basis. The company broke ground for the plant on April 1, 2019 at the 10th Industrial Park. The new factory is designed in line with the latest design philosophies and will be equipped with state-of-the-art machines and equipment including those incorporating artificial intelligence features. The company plans to invest almost an amount of USD 300 million in the construction of infrastructure in the initial stages. The plant will have an annual production capacity of about four million semi-steel radial tires and 800,000 all-steel radial tires. 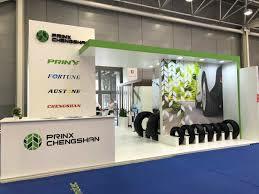 The construction of the new plant in Thailand, which is the company’s first overseas production base is considered to be a major step in the expansion of Prinx Chengshan. Prinx Chengshan is a company that was established 43 years ago and was listed on the Hong Kong stock exchange in 2018. The site in Thailand was chosen as it is an important free trade country, is a key producer of natural rubber, and is also the largest automobile production center in ASEAN. Automobile and related industries are developing at a very fast pace in Thailand and the transportation network is quite developed. Investment in Thailand is also expected to serve as an important step in making the Prinx Chengshan an international one. The establishment of the plant is expected to reingorce the friendly relations between China and Thailand, and promote the economic exchanges between the two countries.